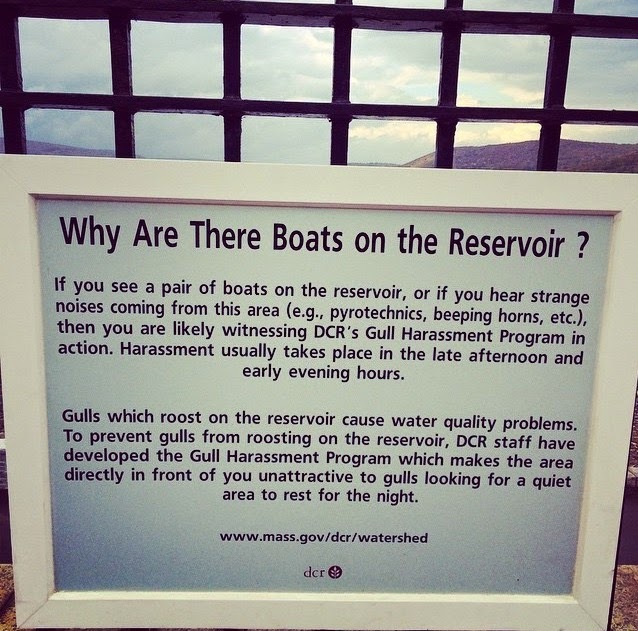 The Quabbin Reservoir is one of the largest manmade public water supplies in the United States. Located in western Massachusetts, It is the primary source of drinking water for over 2 million people. My brother lives a short drive from there, and often takes advantage of the serene landscape. 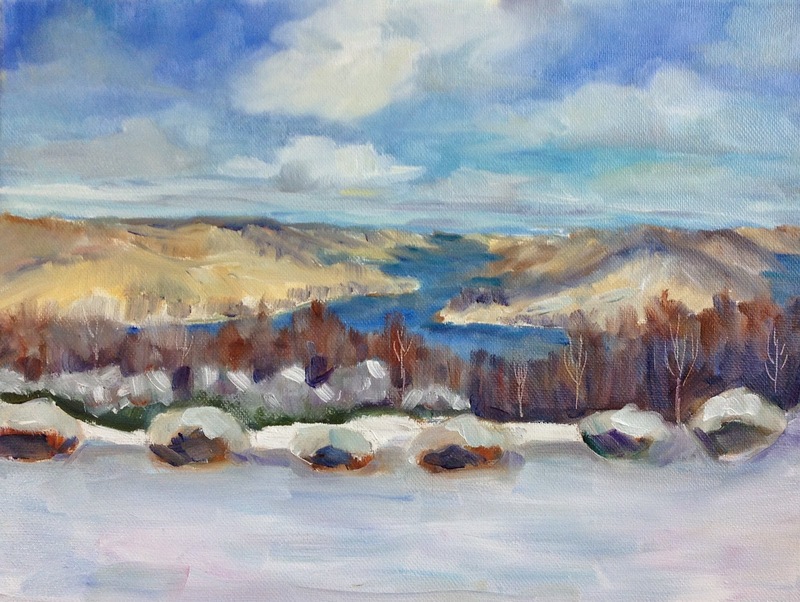 Yesterday, my mom made this oil painting based on one of his more snowy photographs of the reservoir. I love it. I was there last Autumn with my family, and the pristine grounds were breathtaking. Because it is a major source of drinking water, the purity of the water is heavily protected. The 181 miles of shoreline can be viewed from a distance but not touched, dogs are prohibited from the park, and local seagulls are harassed by professionals to keep them from polluting the water. If you think that last part was a snarky joke, check out the photograph I took when I visited. In short: The Quabbin Reservoir is my number one choice for when the zombie apocalypse begins. There is an abundance of fresh water, the grounds are protected, there is access to pyrotechnics, seagulls could be hunted for food (I'd prefer tofu but survivors can't be choosers), and the surrounding wooded area is the perfect place to find shelter, berries, and firewood. We don't have a very wide readership of this blog, so I can write this. If you'd like to join me when the dead rise from the grave, you can meet me there. But don't bring too many friends. I'm not being anti-social, it's a simple survival strategy.